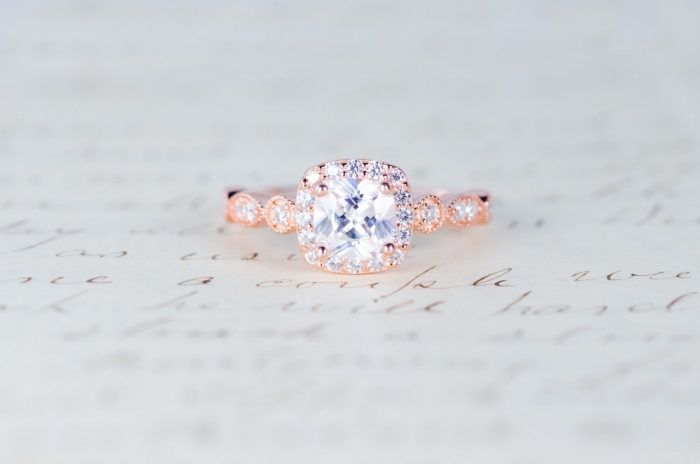 Rose gold has been one of the biggest wedding trends of 2016. 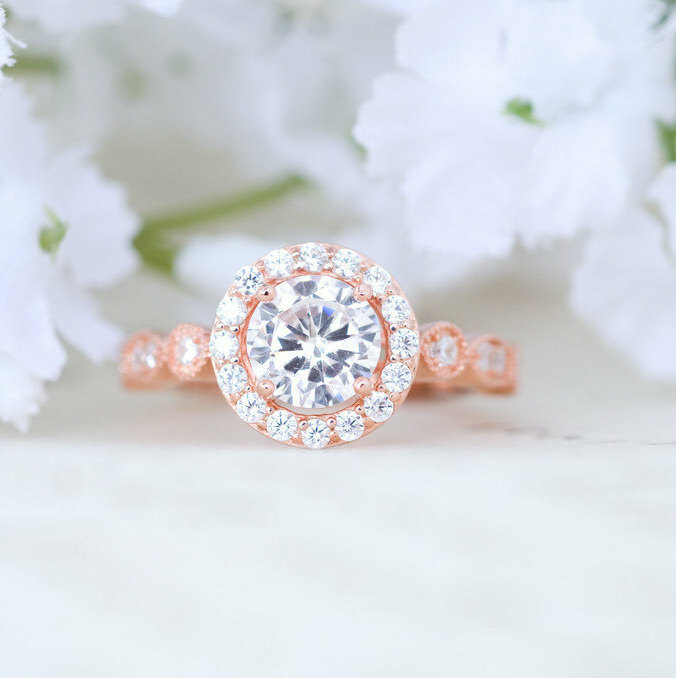 After feasting your eyes on these stunning rose gold engagement rings from Etsy, you’ll see why this trend has staying power! 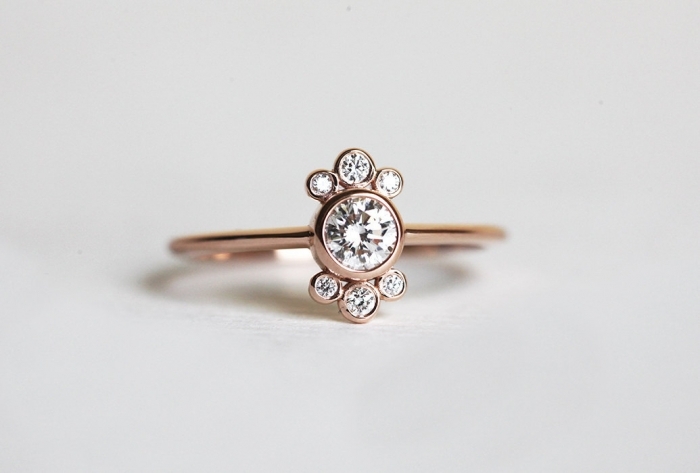 We can’t take our eyes off this beautiful luminescent rose gold ring by MochaRings. 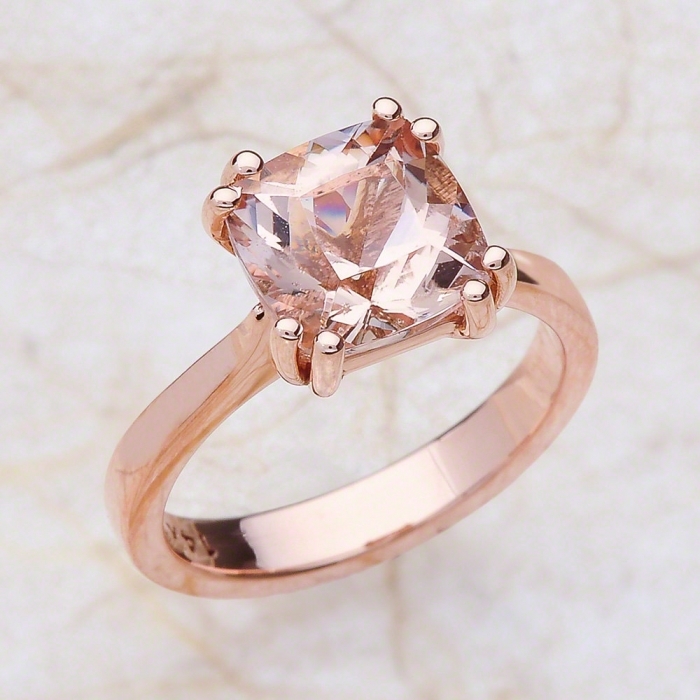 Rose gold and diamonds are an absolute match made in heaven in this beautiful design by MochaRings. 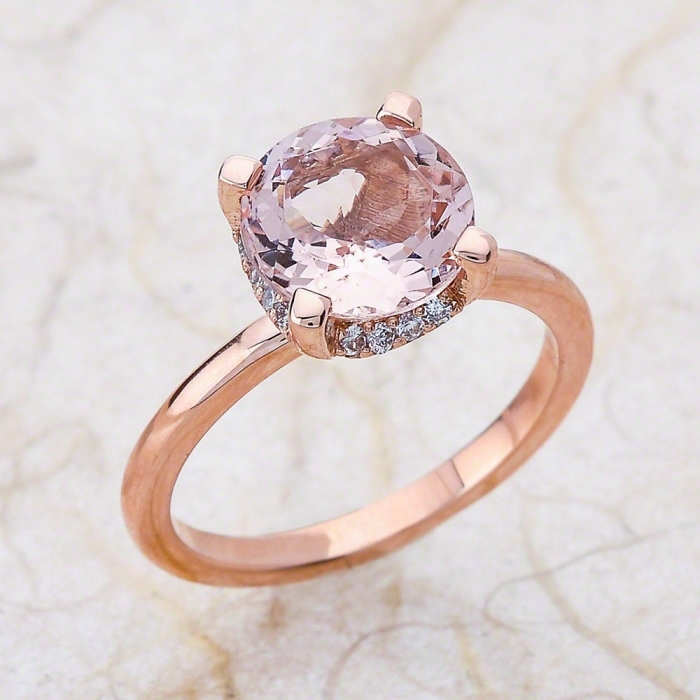 You’ll really feel pretty in pink with this jeweled rose gold ring by capucinne. 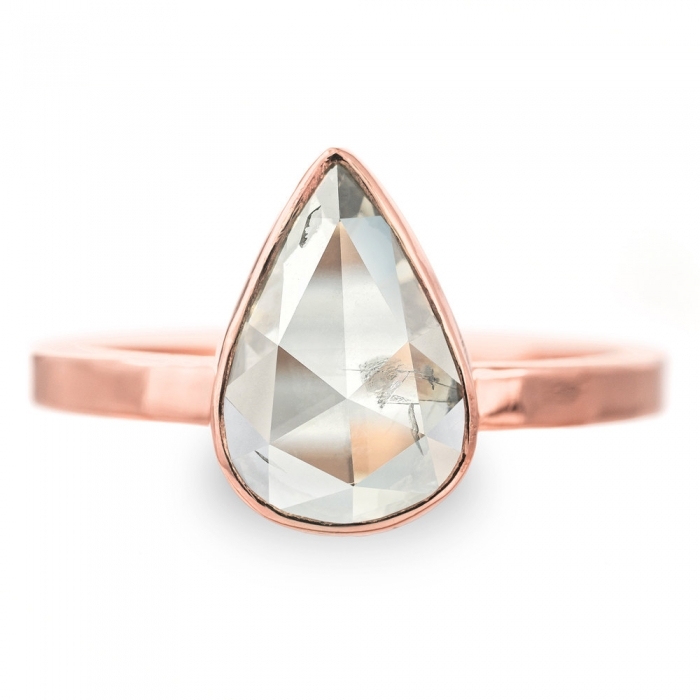 Bohemian meets classic in this rose gold trimmed ring by PointNoPointStudio. 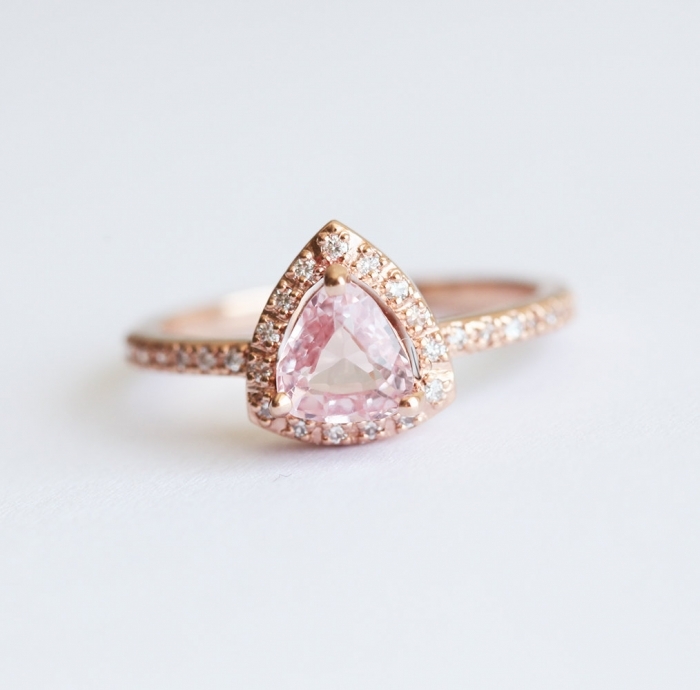 This beautiful ring by EJCOLLECTIONS is perfect with its solitary pink stone. Another bohemian design, this piece by onegarnetgirl is absolutely perfect for the understated bride. 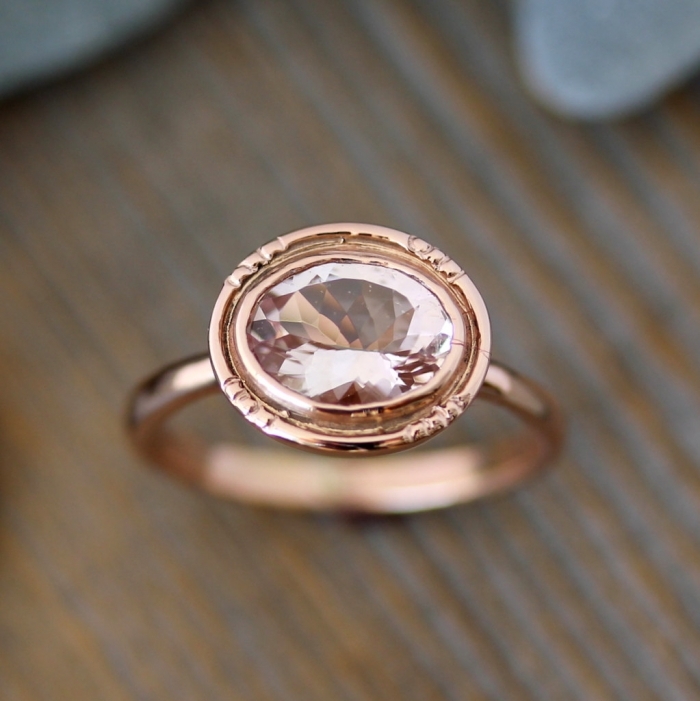 We love the vintage feel of this rose gold engagement ring by onegarnetgirl. 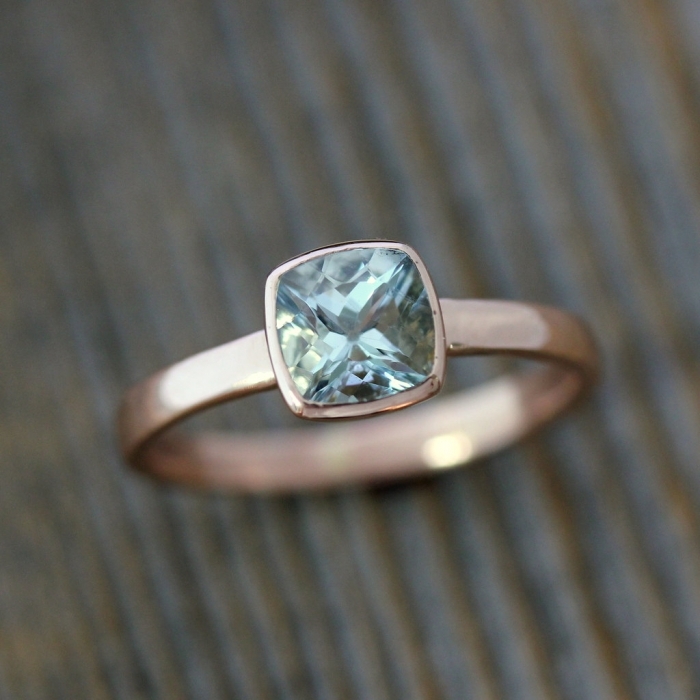 This unique design by MinimalVS is an example that engagement rings can be daring! This solitary stone engagement ring by EJCOLLECTIONS is perfectly trimmed in tiny diamonds for the bride who wants it all! 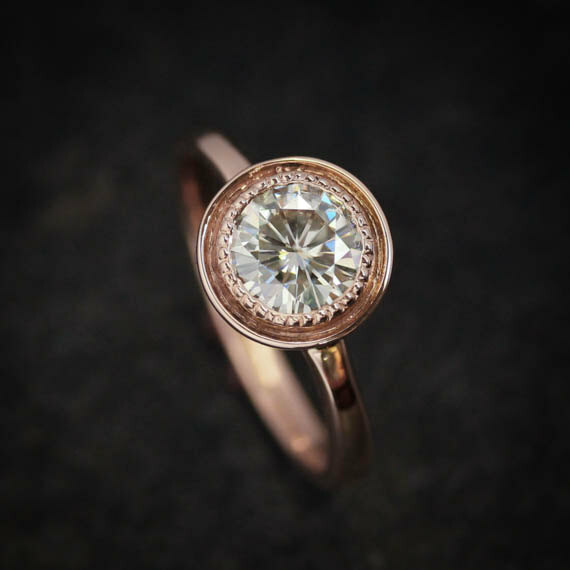 Finally, this circular engagement ring by onegarnetgirl is giving us nautical vibes, and we couldn’t love it more.